HarperCollins Christian Publishing has announced an expanded focus on its backlist titles. In a continued effort to highlight authors’ past works and bring attention to the relevancy these key titles have in the marketplace, veteran publicist Stephanie Newton will lead the initiative as marketing director of backlist. Newton has been with the company for the past nine years, previously serving as the publicity director for W Publishing, a Thomas Nelson imprint. During her tenure, she led multiple publicity campaigns for award-winning titles and New York Times best-sellers, including Todd Burpo's Heaven Is for Real; Ron Hall and Denver Moore's Same Kind of Different As Me; and Billy Graham’s Nearing Home and The Reason for My Hope. Pure Flix Entertainment has announced the addition of two new team members. Steve Okin joins the Pure Flix team as vice president of home entertainment distribution, and Franklin Santagate has been named vice president of outreach. Okin will be responsible for maximizing the distribution of Pure Flix properties into major retail outlets such as Best Buy, Walmart and Costco. He will also advance digital programming in association with pureflix.com. Accomplished consumer products CEO Steve Kosmalski has joined the Precious Moments Family of Companies as its new CEO, effective immediately. Kosmalski brings nearly 40 years’ experience to the giftware company founded by artist Samuel J. Butcher. 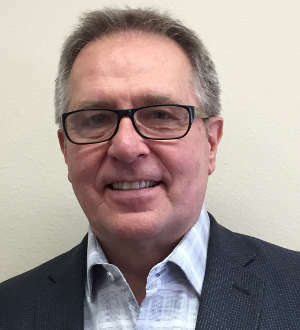 Owned and operated by the Butcher family, PMFOC welcomes Kosmalski into the fold, looking to his prior success with Stein World, Crescent and Blyth Corporation to move the company ahead. Precious Moments, Inc. the creative and licensing division of PMFOC, has announced the promotion of Sara Pilafas to president. Pilafas continues to lead the creative and licensing efforts of Precious Moments with a reinvigorated approach to the brand. “Sara’s demonstration of creative leadership and strategic vision makes her more than capable and focused on our mission,” Butcher says. The Parable Group has announced the promotion of Kristel Regusci to store advocate. Regusci has a four-year background in retail sales/management and 16 years of experience in education, training and advocacy work. Before her career in the Christian retail industry, she worked as a WorkTraits facilitator and staff educator at a leading food safety company. She’s also served as an academic coach, staff trainer and special education advocate for varied companies and businesses. 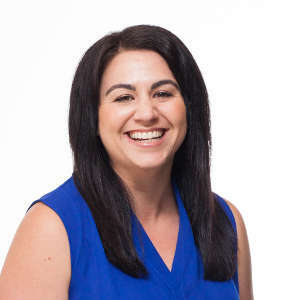 Regusci has served on the Business Intelligence team since she joined The Parable Group in May of 2014 and has since demonstrated a heart for Christian retailers. In one year, she has championed post-sale credit processing by acting as liaison between stores and vendors—garnering over $138,500 for retailers. Additionally, Regusci has also educated and empowered retailers to leverage their data to target customers, drive store visits, grow sales and maximize ROI. Retail participation in The Parable Group data services, available to all Christian retail stores regardless of marketing group affiliation, has increased by 41 percent in the last 12 months. “God has gifted us with a team of incredibly talented individuals and I am very pleased to further utilize Kristel’s strengths and experience to serve stores—something she loves to do. We are so thankful for gifted employees who share our enthusiasm for serving retailers and their customers,” says Steve Potratz, president of The Parable Group. In her new role as store advocate, Regusci will serve on the merchandising and marketing team under Jeff Bruenning. She’ll help retailers create customized marketing investment strategies that suit their store, customers and budget—to increase traffic, sales and generate the greatest return on investment. She’ll educate retailers on new programs and services and will be instrumental in developing new retailer relationships and strengthening existing ones. Howard Books has announced that Jennifer Smith has been promoted to vice president, director of publicity. 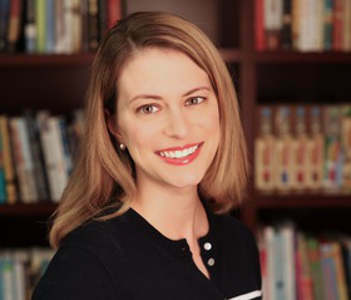 Smith came to Howard Books in October 2010, from the company’s New York offices, where she oversaw publicity for Simon & Schuster Audio. Prior to that, she was the director of publicity and marketing for one of Simon & Schuster’s distribution clients. Before her career in publishing, she spent several years as a news director and producer for national television and radio networks and is a guest lecturer at various colleges and universities, specifically talking about publicity, book publishing and the climate of our marketplace. Since joining the Howard team, Smith has been an integral part of our growing success and has helped cement Howard Books’ reputation in the marketplace as the foremost publisher of Inspirational/Christian books. She has been diligent in assuring our books and authors get the attention they deserve across mainstream and Christian media platforms, and has helped our imprint launch more than 30 titles to the New York Times best-seller list, including: EntreLeadership, An Invisible Thread, Kisses from Katie, Illusion, Waking up in Heaven, Angels Walking, Emotions, Where a Man Stands, The Traitor's Wife, Rise of Isis and many more. In 2013 she led campaigns for some of the company’s most successful titles, including No. 1 NYT best-sellers Happy, Happy, Happy and Sicology 1. In addition, she has fostered relationships with and spearheaded campaigns for many best-selling authors, including A&E’s Duck Dynasty Family, TLC’s Duggar family, the stars of TLC’s The Little Couple, Wm. Paul Young, Tim Conway, Karen Kingsbury, Charles Stanley, Darryl Strawberry, Jay Sekulow and many others. Smith’s ability to navigate media relationships as well as lead her team has proven instrumental in helping to grow the Howard Books division to what it is today.